It’s no secret that “mean girls” are younger than ever before. But how young? Their attacks and patterns are similar to what many of us with young daughters experienced in high school. It often starts small: Choosing to exclude another girl at recess or from a birthday party. A mean post online. Then, it escalates: Posting a series of lies or hateful rumors or harassing comments. The exclusion and taunting becomes deliberate and constant. And, the recipient is only in grade school. A common fear among parents is that their child will experience similar badgering and bullying. Elementary school-age girls as young as seven report hurtful and disturbing bullying behaviors. It sounds unbelievable. But, it’s a very real phenomenon. 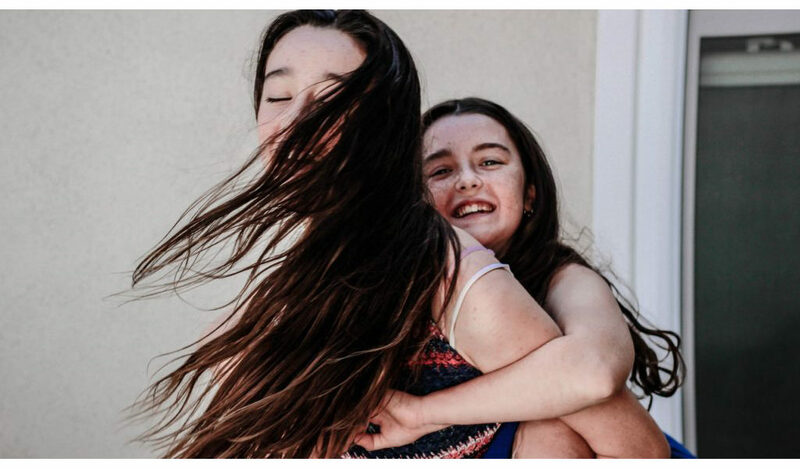 According to child and adolescent psychotherapist Katie Hurley, author of No More Mean Girls: The Secret to Raising Strong, Confident, and Compassionate Girls, bullying isn’t just a teen problem anymore. Plenty of younger girls face bullying, both in person and on social media. Her book is a testament to this as well as a guide specifically for parents and their daughters between ages 3 and 13. This age group doesn’t have the social maturity to realize the deep and long-lasting impact of bullying. With social media and the Internet ubiquitous in children’s world, it’s important to explain how a simple tweet or post can do serious damage. A new Pew Research Center survey, reported in an article titled “A Majority of Teens Have Experienced Some Form of Cyberbullying” surveyed 743 teens and 1,058 parents in spring 2018 and found 59% of American teenagers have been bullied or harassed online. The study designates six distinct behaviors as falling under the umbrella of cyber harassment — including offensive name-calling (the most commonly reported form of bullying), spreading false rumors, and even physical threats. However, Hurley stresses that the impact of bullying is deep and scarring. “What happens in the elementary-school-age years directly affects what happens in the tween and teen years,” she says. Parental guidance, involvement, or interference is a smart way to support your child through what can be a hellish time. Hurley recommends the following to help explain and arm young daughters. Her suggestions can help prevent your child from slipping into bullying behaviors and being able to identifying them when she sees it happening to herself or to others. Define the words gossip, teasing, taunting, public humiliation, excluding, cliques, and cyberbullying. Take time to connect with your daughter whatever her age. Listen when she talks — really listen. Discuss and monitor her social media usage. Teach her what you know about friendship. Model the power of friendship and unconditional support. Support her through the ups and downs she faces. Encourage her to work together with friends. Explain how to consider a friend’s perspective in a disagreement. Show her how to accept her role in a conflict with peers. Experts at StopBullying.org also emphasize communication with your child. “Check in with kids often. Listen to them. Know their friends, ask about school, and understand their concerns,” they write. The “mean girl” trend has become so pervasive and, sadly, powerful. Your daughters need your support and help.